MARINERS HARBOR, Staten Island (WABC) -- The suspect in last week's Staten Island triple shooting was shot and taken into custody by police in Pennsylvania. Anthony Morales, 49, was caught while in his car in Hamburg, Pa., Monday night. He was cornered by members of the New York/New Jersey Regional Fugitive Force, which includes the NYPD. During his apprehension, police said Morales refused to listen to officers' commands, put his hands down and reached to his waist area. He was shot multiple times and taken to Reading Hospital, in Reading Pa., in stable condition. A loaded Glock handgun was recovered from his car. 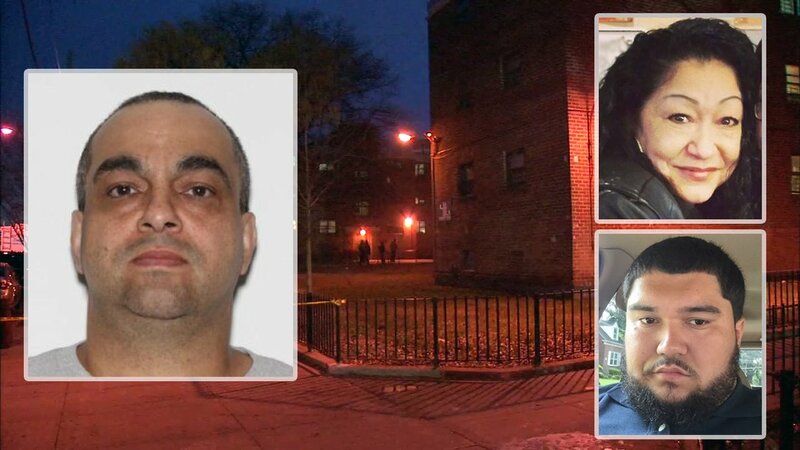 Morales is a suspect in last Thursday's Staten Island fatal shooting of a mother and her adult son, the apparent culmination of an ongoing dispute over money owed about a car. Three people were shot during the incident outside a NYCHA complex in Mariners Harbor. Idelle Rivera, 47, and her 21-year-old son Anthony Rivera died at Richmond University Medical Center after they were wounded in the head. Anthony Rivera fixed cars, and authorities believe the shooting was the result of an ongoing dispute between him and Morales. A 22-year-old friend who often repaired cars with Rivera and was working on a vehicle at the time, was shot in the leg.